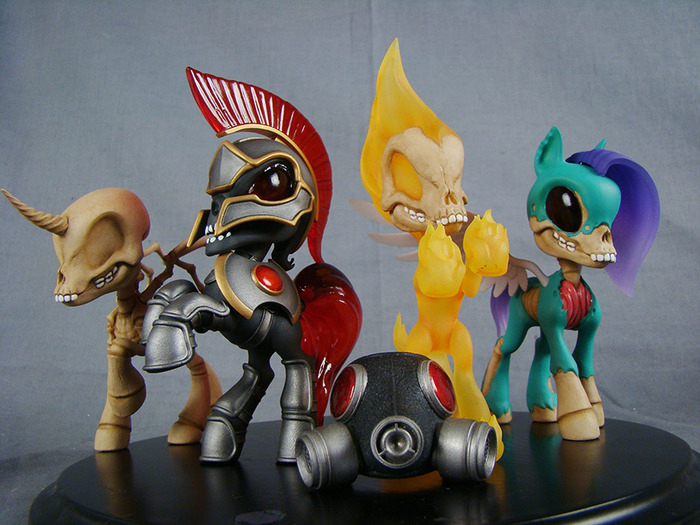 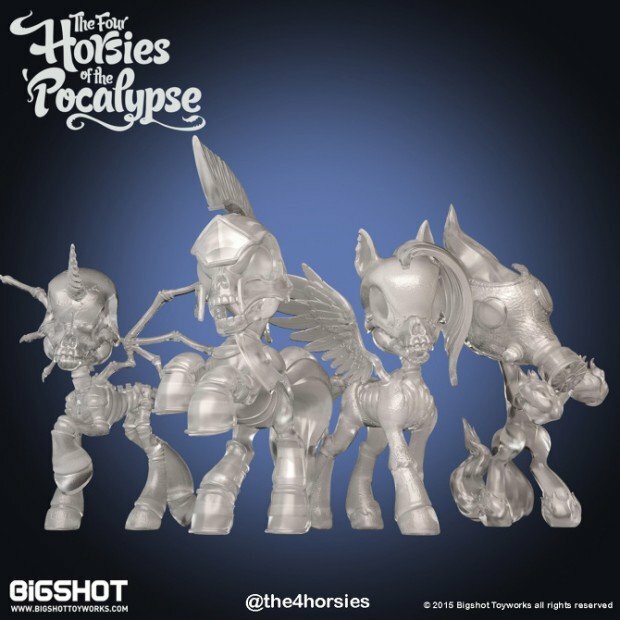 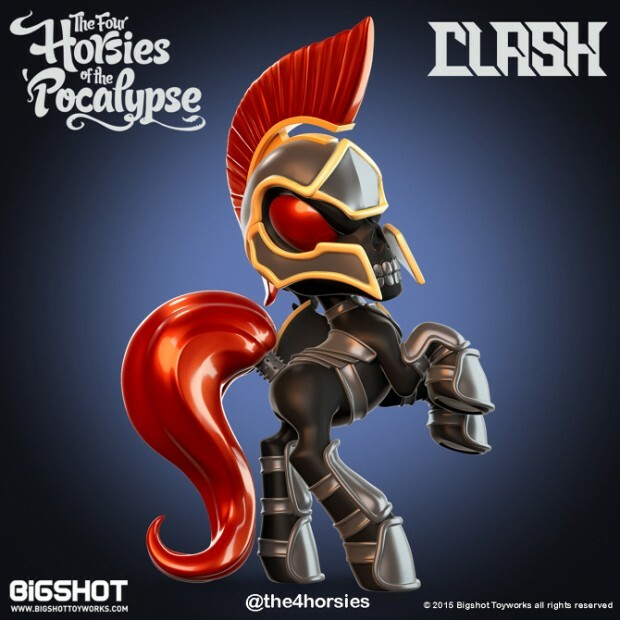 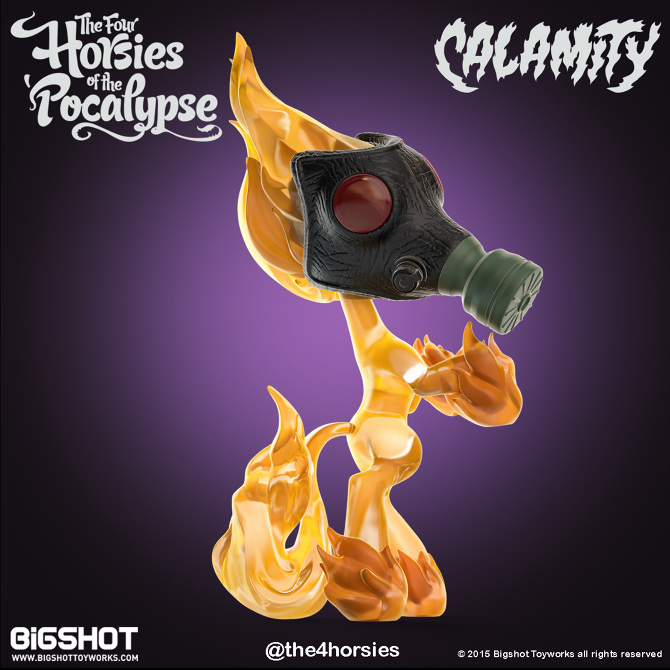 Bigshot Toyworks is now raising funds on Kickstarter for Four Horsies of the ‘Pocalypse. 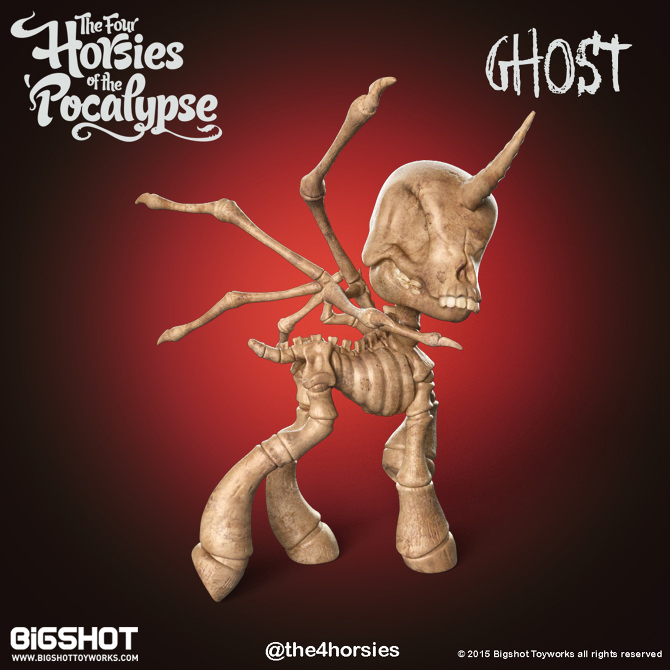 The four-figure set is the toymaker’s follow up to Maddie, its Cthulhu and My Little Pony mashup toy. 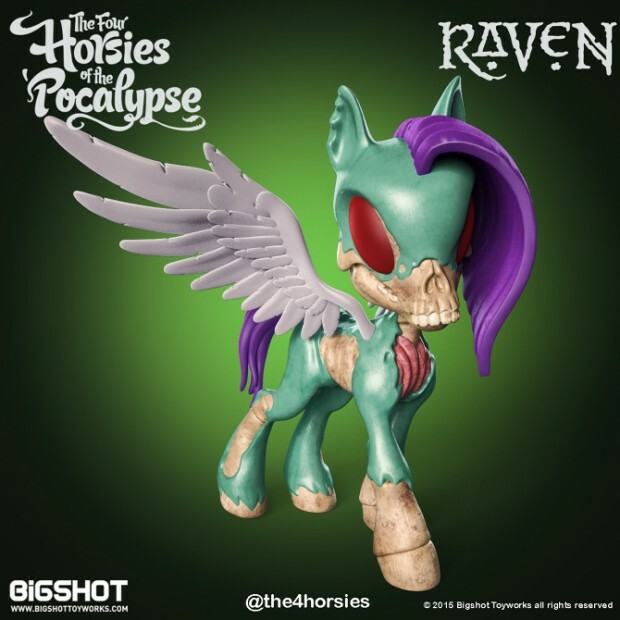 The set includes Raven, the horsie of Famine, Clash, the horsie of War, Calamity, the horsie of Pestilence and Ghost, the horsie of Death. 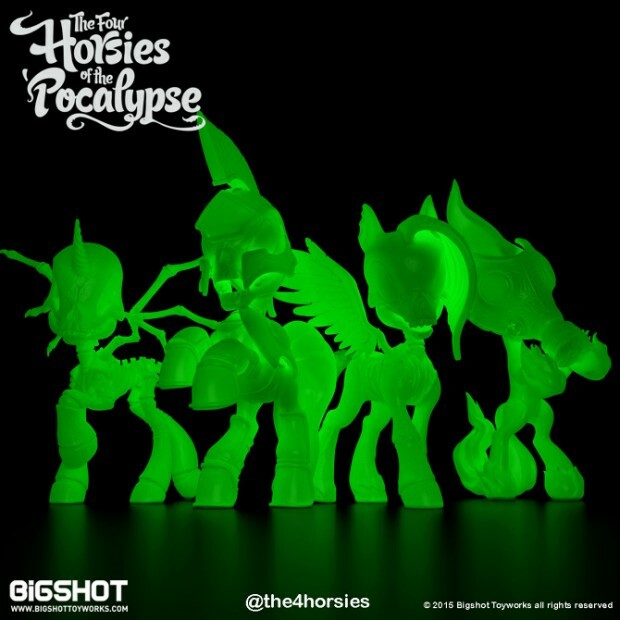 Aside from their original colors, Bigshot Toyworks also has limited edition glow-in-the-dark and clear versions of the figures. He may be invisible, but I’m pretty sure the horsie of commercialization was all over that video. Pledge at least $100 (USD) on Kickstarter to get a Four Horsies of the ‘Pocalypse set as a reward.